- Industry Round Table on m2m + iot Service Delivery Modelling – How and Why? - m2m and iot Use Cases, Case Studies, Pilots and Projects. 3rd: Smart 24x7 Response – showcased on mobile platform for the safety & security to the citizens. 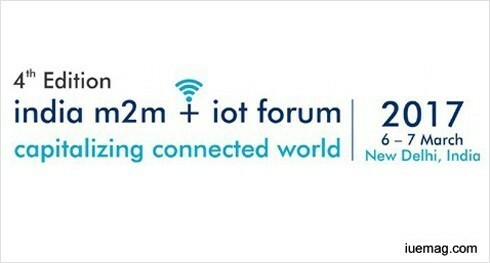 Detailed and live videos from the forum proceedings can be viewed at http://www.m2m2iotforum.com/2017/video-gallery/. Your online resource on machine-to-machine (m2m) and internet of things (iot) technologies, news, views and more. Inaugurated in April 2013, www.m2m2iotpaper.com is a world-class news and resource portal of latest machine-to-machine (m2m) and internet of things (iot) information. Telecom Centres of Excellence, set up in Public Private Partnership (PPP) mode, are an example of the Government, the Academia and the Industry working together for the sustained growth and progress of the country in the Telecom sector. The iUeMagazine team was delighted to work with India m2m + iot Forum 2017 2017 as Online Media Partners & to have brought Unlimited Inspiration for all readers from the proceedings of this event.